Hurricane Florence, a Category 4 storm with peak winds of 130 mph, is forecasted move slowly through the Carolinas and Southeast through this weekend and causing catastrophic inland rainfall flooding, life-threatening storm surge and destructive winds. Hurricane warnings are in effect for the coast of North and South Carolina . More than 1.5 million people have been asked to evacuate coastal areas across the Carolinas. Everyone should monitor the path of the storm and be prepared to take quick action to protect their people and properties and minimize disruptions during and after the storm. They should also be ready to immediately begin the process of restoring damaged property, resuming business operations, and recovering insurance. Your people and their families may be personally affected by the storm and their well-being should be a main area of focus. Before the storm, ensure that those affected can get to safety and make other preparations. Keep in touch with them during and after the storm and provide humanitarian assistance if needed, including guidance on how they can manage their own insurance claims. Before the storm arrives, you should familiarize yourself with your insurance coverage, understanding key definitions, sublimits for flooding and other coverage areas, and other terms in applicable policies. Stay in close contact with your in-house insurance and operations team leadership, your broker’s claims advocates, and insurers and establish a framework and protocols for gathering information and filing a claim once the storm passes. Prior to and after the storm, you should take actions to minimize dangers to and on your property. For example, you should remove standing waters to reduce the risk of ground or structural collapses, disconnect equipment in the event of a power outage, and safely remove any dangerous materials, debris, and wildlife or chemicals brought in by floodwaters. Document property damage, including verbal communications, immediately to avoid loss of information due to memory loss or employees leaving the company. Gather photo or video evidence without jeopardizing employee safety, including using drones or other aerial surveillance. Gather relevant records, including inventory, payroll, purchase orders, and business operations. Keep track of service interruptions, noting the time, location, and reason for any interruption. Raise potential coverage questions and dispute issues early with your insurer’s claims team. Capture financial losses. A best practice is to create a new ledger to track all loss-related expenditures and use a unique accounting code to capture recovery-related labor costs. 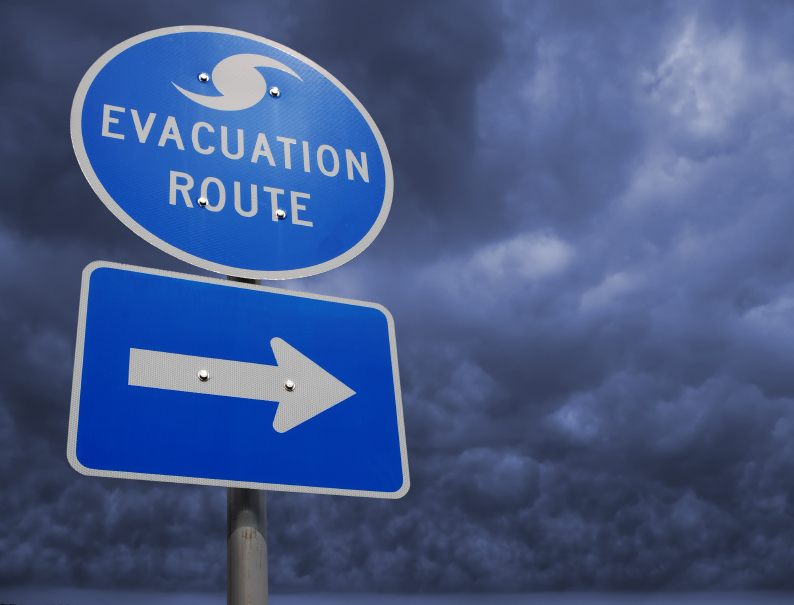 Being prepared for Hurricane Florence can help you better protect your family and assets, and aid in your recovery after the storm. Hurricane Readiness in 5 steps. Get ready. Be set. Stay afloat. Hurricanes can be strong, destructive forces with devastating impact. The best chance of keeping you and your customers safe during a storm is knowing what you're up against and taking the necessary measures to protect what matters most.